Expert crafted from non-gmo and organic plant extracts and scented with pure essential oils to cleanse and moisturize your skin. 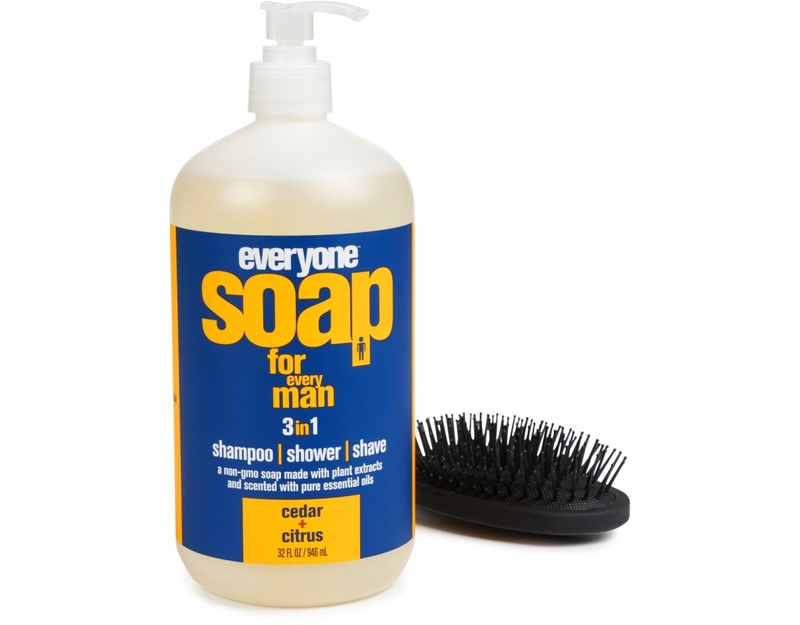 Everyone loves to feel clean. 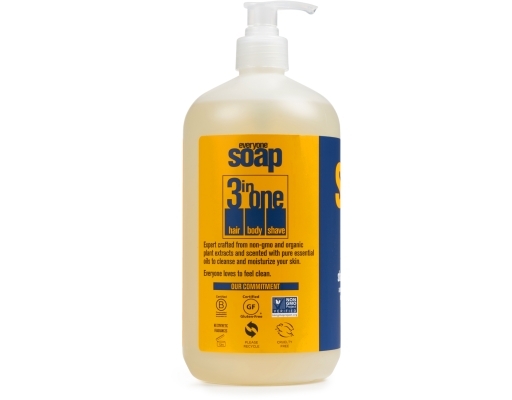 This multi-tasking soap is formulated to be used as shampoo, body wash and shaving gel. The rustic combination of Cedarwood, Lavender and Orange essential oils lend this soap its woodsy scent. Plant derived cleansers create a skin-nourishing, foamy lather. 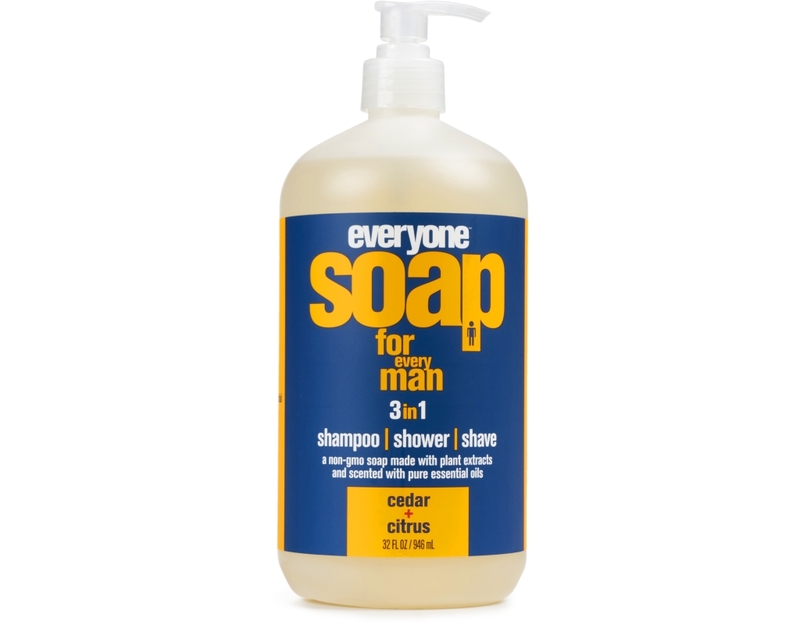 Priced for every budget and generously sized for every man in the house. 32 fl oz, packaged in a recycled bottle. Everyone 3-in-1 Soap for Men is the easy way to get clean and smell great. Formulated to be used as a shampoo and body wash, as well as a shave gel. 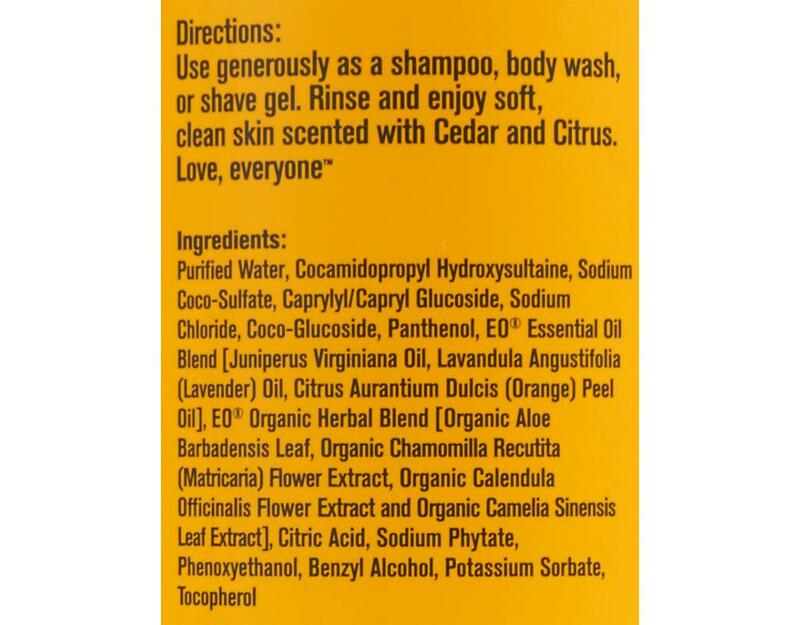 These are GMO free, cruelty free, paraben free, synthetic fragrance free, gluten free, made with organic ingredients, and scented with pure essential oils. Coconut-derived cleansers, Vitamins B5 and E, and the signature EO Organic Herbal Blend of Aloe, Calendula, Chamomile, and White Tea extracts help to cleanse and moisturize every body's skin. 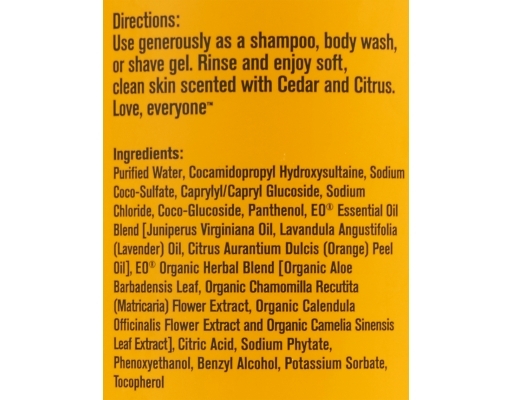 Cedar + Citrus is a woodsy scent with a gentle citrus finish that leaves you smelling great and feeling moisturized. It's soothing to the senses while it gently conditions your skin. A blend of Cedarwood, Orange, and Lavender is both grounding and uplifting. Every man loves to be different.